Jampa Namkha Chimé (Tib. བྱམས་པ་ཀུན་དགའ་ནམ་མཁའ་འཆི་མེད་, Wyl. 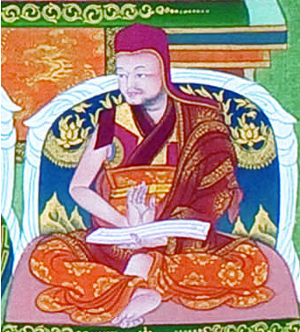 byams pa kun dga' nam mkha' 'chi med) (1765-1820) was the 44th throneholder of Ngor Monastery (1789-1793) and the immediate predecessor of Jamyang Khyentse Wangpo. This page was last edited on 4 May 2018, at 19:42.